Nostalgia is the juice that millennials run on, this much we know. The only way we're trawling through the perpetual shitshow that is 2018 is the occasional rest stop in memory town, filling up on amazing photos from our favourite old movies, finding out how badly our favourite child actors have aged in the last 20 years, or in this case, checking out what Instagram would have looked like in the style of Windows 95. Russian animator Misha Petrick went back in time for her latest 'Instagram.exe' project, imagining what our favourite 21st Century app would have looked like if our parents were checking it at work. ‘I made these GIFs because I wanted to make modern kids look at Instagram the way I saw things at that age,’ Petrick told The Creators Project. Look how filters, notifications, and uploads would work in the operating system! SO. CHUNKY. School computers weren't really for doing work; they were for fannying about while you were meant to be doing work, like when you magically turned all the computer screens upside down. Took the balls out of the mouse (cos mice had balls back then, kids). Logged into Hotmail to send your mate next to you a pointless email. Not to mention dealt with the serious business of chain mail. Played the Helicopter game to death. Spent longer deciding on WordArt than actually writing anything. Sneakily installed Gameboy emulators to play Pokémon. 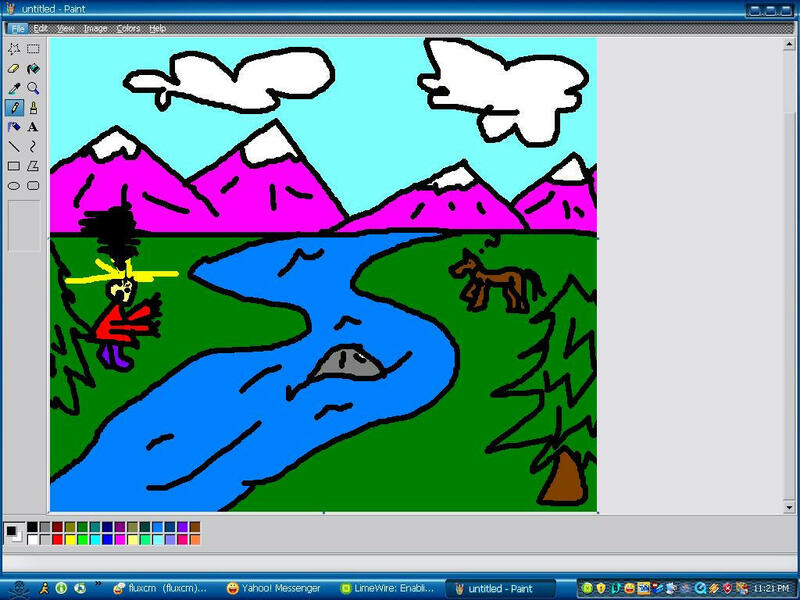 Created super sweet artworks on Microsoft Paint for your desktop. Sent people links to Pen Island and hoped for the best. Dicked around on Microsoft Encarta pretending it was ‘research’. Got thoroughly pissed off with that stupid paperclip in Microsoft Word. Spent an inordinate amount of time on Neopets. Played all the games on Newgrounds, like 'Defend Your Castle'. And Miniclip games, like 8 Ball Pool. And Addicting Games, like Mini Putt. Watched Badger Badger Badger over and over again. Not to mention Weebl and Bob. Felt outrage when your school blocked all the good websites. Felt smug when you learned about proxy sites and got round the blocker. Ejected your floppy disk drive, not realising how hilarious the idea of floppy disks would soon become. And above all, NOT waiting until it was safe to turn off the computer.